A Topknot (Zegopterus puntatus) from a rocky site. 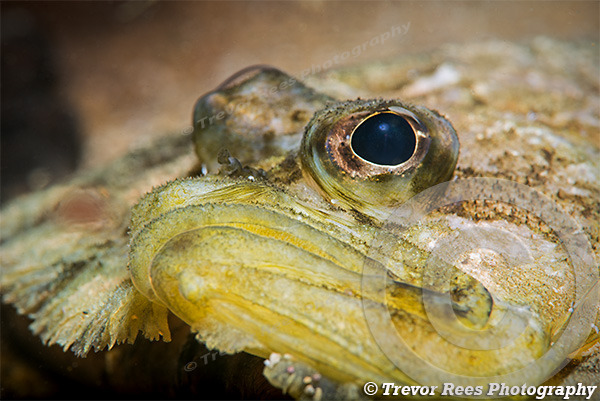 A well camoflaged flatfish from a rocky site. Identification is made easier by this being a left sided fish (both eyes end up on left side).